Innoson motors Nigeria Limited has said it has sealed seven branches of Guaranty Trust Bank, GTB to recover it’s N8.8 billion. The spoke person for Innoson Motors, Cornell Osigwe who spoke to Daily Trust in Nnewi on Saturday said the company had sealed seven of GTB bank branches. 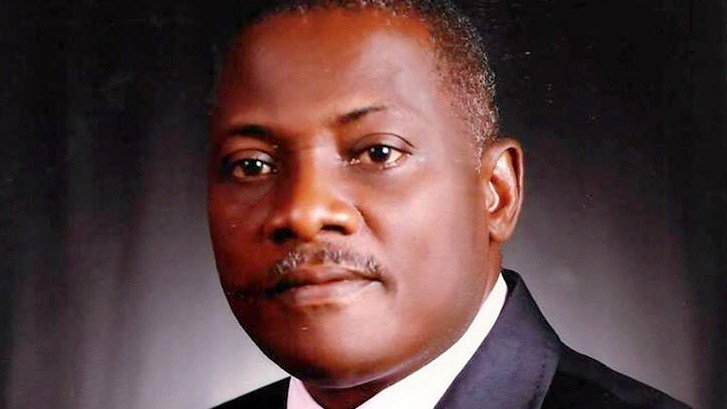 According to him, Innoson will seal more of GTB bank branches nationwide to recover the N8.8 billions owed to the motor company. “We will seal more of their properties to recover our money and from next week, we shall move to GTB head office to enforce the judgement of courts. We will sell those properties to get our money back”, he said. Recalled that in a statement, on Friday, Innoson said it has obtained a court order to take control of GTB over indebtedness of N8.8 billion. However, GTB bank has refuted the claim saying that the judgment was against the account of the Nigerian Customs and Excise Board domiciled with GTBank, and not against GTBank as an entity. Cornel Osigwe had in a statement said the company has obtained a writ of Fi fa from the Federal High Court sitting in Awka, Anambra State, against Guaranty Trust Bank( GTB) to take over the bank’s properties. According to him, the judgement was to implement the judgment given by Supreme of Nigeria earlier. He said in the statement, that the judgement given by the Federal High Court, Ibadan was upheld by the Supreme Court of Nigeria. The statement further added that“In a landmark decision on February 27th 2019, the Supreme Court of Nigeria had dismissed GTB’s appeal in a suit number SC.694/2014 — against the judgment of court of Appeal, Ibadan Division. “The Court of Appeal, Ibadan division had in its decision of 6th February 2014 dismissed GTB’s appeal against thee Federal High Court, Ibadan Division. “Thus, the Court of Appeal affirmed the judgment of the Federal High Court, Ibadan Division which ordered GTB by way of Garnishee order absolute to pay N2.4billion to Innoson with a 22 percenti interest per annum, on the judgments until the final liquidation of the debt. The company also said that in a ruling delivered by Supreme Court,Justice Olabode Rhodes-Vivour dismissed GTB’s appeal and affirmed the concurrent judgment of both the Court of Appeal and the Federal High Court, Ibadan Division. “Based on the Supreme Court’s decision of 27th February 2019 the counsel to Innoson , Prof McCarthy Mbadugha ESQ, approached the Federal High Court Awka Division for leave to enforce the judgment having obtained certificates of Judgment from the Ibadan Division of the Federal High court,” it said. The Guaranty Trust Bank refuting the news that a Federal High Court in Awka Anambra State has granted Innoson Nigeria Limited leave to take over the bank’s properties said that the judgment allegedly, is a judgment against the account of the Nigerian Customs and Excise Board domiciled with GTBank and not against GTBank as an entity. “GTBank as a law-abiding corporate citizen is taking all necessary legal steps to address this situation and ensure that no illegal or fraudulent execution is carried out”it stated.